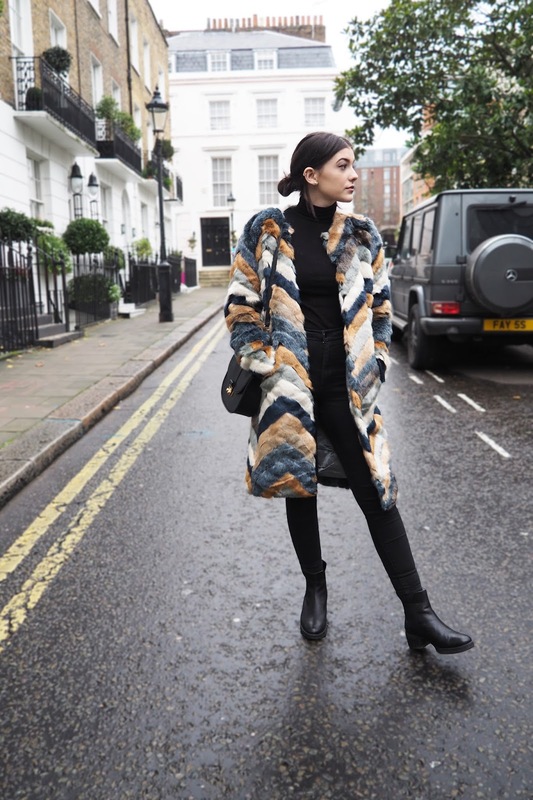 For braving the cold Winter weather, a statement coat will be your style saviour. With the dropping temperatures, it's easy to want to revert back to your favourite, albeit old and bobbly, black coat. But sometimes it's nice to stand out and tackle the Arctic winds. Win-win! 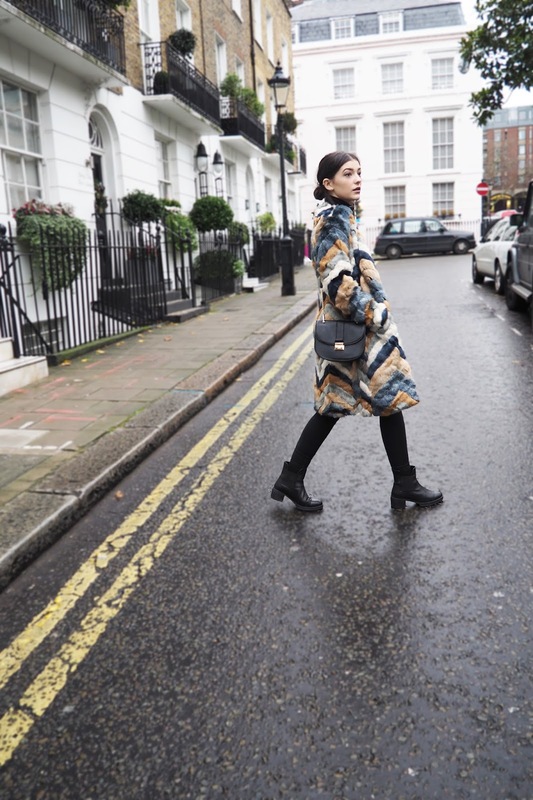 I've invested in (probably one too many) statement coats over the past couple of months, and it has without a doubt been my smartest decision in 2015. Be it faux fur, patchwork, chevron or just down-right outrageous, I'll take them all, please! 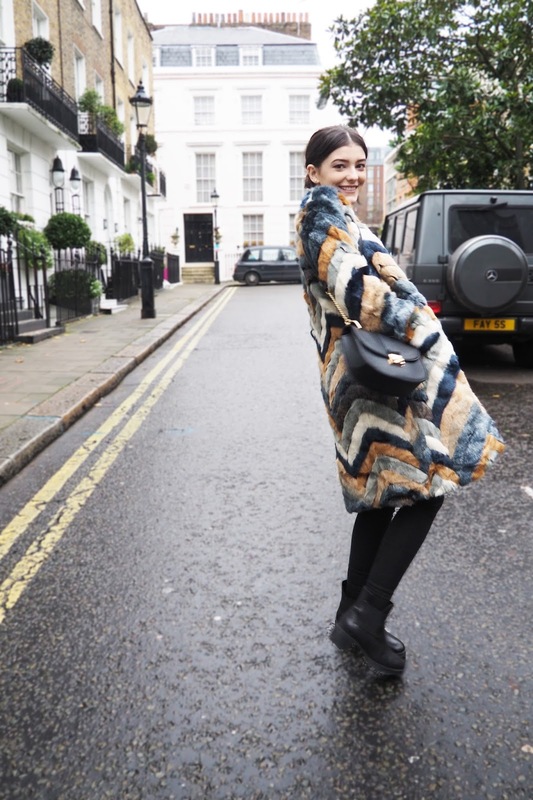 For a day of strolling around London over the Christmas period, this chevron coat was a winner in my eyes. Teamed with a classic black look, it lets the coat do all the talking. We spent the day trawling the shops in Knightsbridge, and of course, Selfridges - a.k.a the home of where all of my dreams lie. I'll admit, I felt pretty sassy walking through there wearing this beauty of a coat. How stunning! 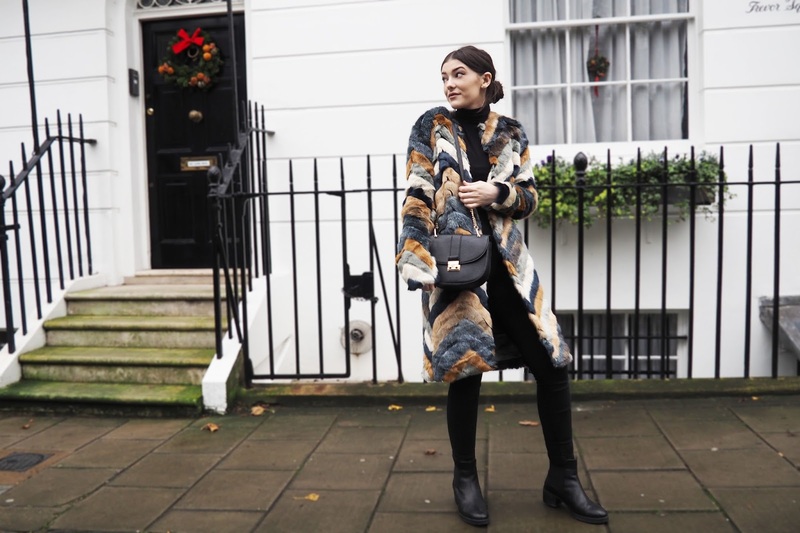 That is a perfect statement coat!